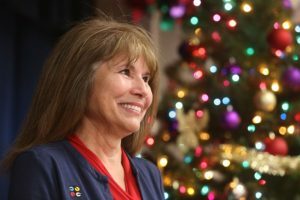 The joy on children’s faces drives Maria Vazquez to keep expanding a program she created 13 years ago to hand out Christmas gifts to children in elementary schools serving low-income Inland neighborhoods. Her nonprofit group, Christmas in the Classroom, was busy this week delivering presents to students at five schools in Jurupa Valley, Fontana and Pomona. 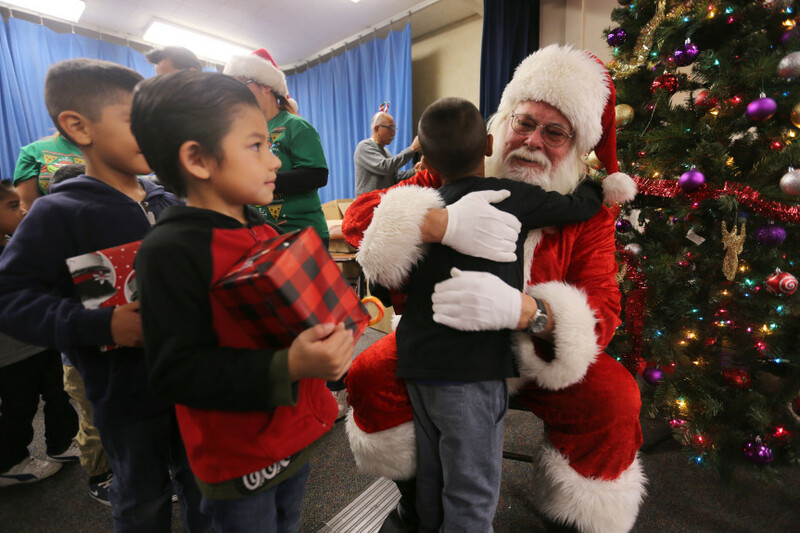 Children at Troth Street Elementary School in Jurupa Valley received their gifts — and a visit from Santa Claus — on Thursday, Dec. 14. The group collects money to buy toys that volunteers wrap. The gifts then go to children at schools that receive federal Title I money because they have high percentages of low-income families. In addition to holiday cheer, the students receive milk, orange juice and candy canes. The program has multiplied from its modest beginnings. She is working to add a sixth school next year to boost the number served to 5,000. 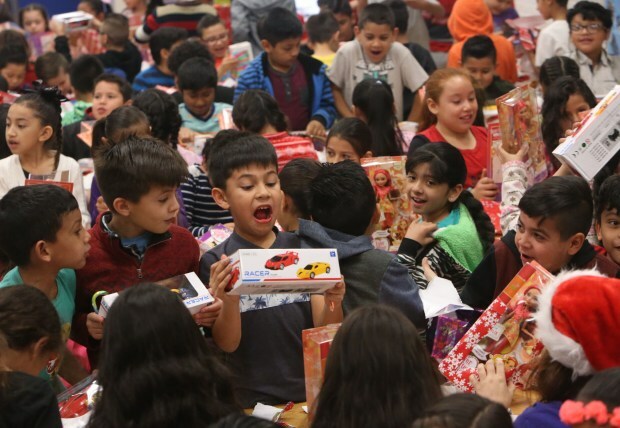 Maria Vazquez, founder of Christmas in the Classroom, watches as students become excited to receive presents through her non-profit on Thursday, Dec. 14, 2017 at Troth Street Elementary School in Jurupa Valley. Vazquez got the idea from a fond memory in her own childhood. “We were children that also were economically challenged,” she said. 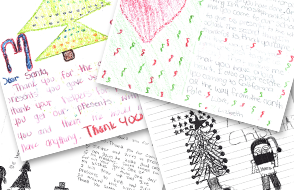 “We didn’t have much and it was through donations that we received Christmas.